The Aquanaut is the perfect second Key West dive for anyone Florida Keys snorkeling or diving the beautiful Sambo Reefs area. East and West Sambo Reefs are geared up for the novice diver. The Middle Sambo Reef is more attuned for someone with more advanced diving skills because of it's greater depth. However, knowing that another great Florida Keys diving opportunity is just a short distance away, is major enticement for someone looking for another Key West dive. This vessel was once a working 55 foot long wooden tug belonging to Chet Alexander, who was responsible for the sinking of the USS Amesbury. One morning, he returned to work to find this tug resting at the bottom of the ocean. After determining that refloating her was not cost effective, he prepped her, then towed her out to sea. The tug now lies in about 75 feet of water near the Gulf stream, so Key West divers will find that visibility is exceptionally good. This also means that currents can occasionally be strong. 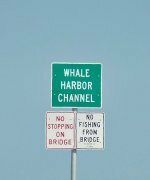 Due to these conditions, intermediate to advanced diving skill is recommended for anyone visiting this challenging Key West dive. Since this vessel was primarily constructed of wood, after she was scuttled her condition began to deteriorate. As she began to rot, strong storms and Florida hurricanes broke her up, and she has now spread out over the ocean floor. Some of the remaining larger pieces have been claimed by a variety of tropical fish and Florida game fish. 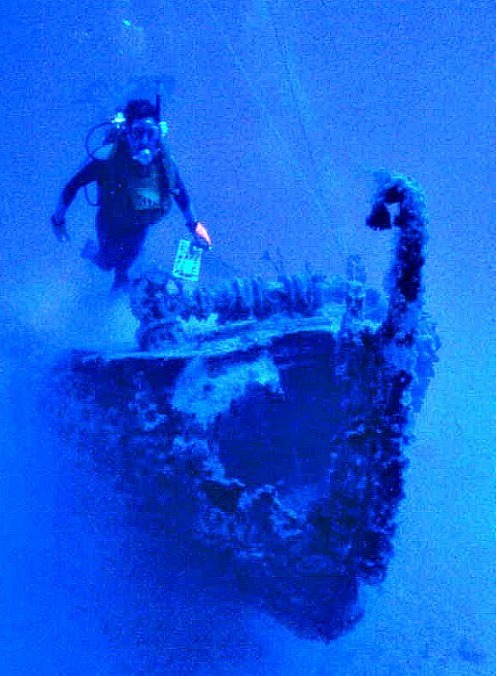 If you're scuba diving Key West and plan on wreck diving this tug, you'll find that she presents one of the better wreck photo opportunities. The water here is very clear, and the marine life is colorful and dynamic. This scuba dive Key West spot benefits from it's close proximity to the very popular Sambo Reefs area, giving skilled Florida Keys divers a full day of exploration. This artificial reef is like the Sambo Reefs in that it is teeming with tropical fish and is positioned in clear water. The difference is, the avid underwater photographer now has the interesting backdrop of a decaying wreck to add to the mix.